Pastor James H. Buck, Jr.
Like Berean’s Zumba class, faith based institutions are increasingly adding physical activity to their bulletin boards. Get your congregation moving in pursuit of a healthier life. 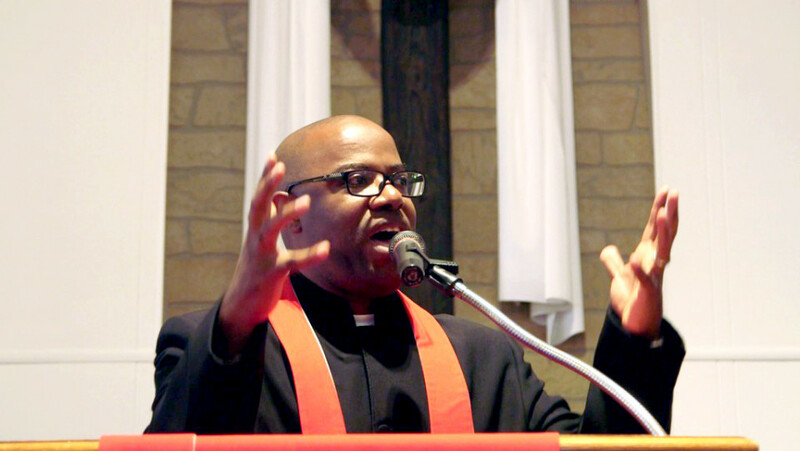 Originally from Gibson, Mississippi, Pastor James H. Buck, Jr. now calls North Philly his home. Five years ago, he moved to Philadelphia with his wife and two children to provide ministry to the Berean Baptist Church congregation. With ministers on both sides of his family and as the only male of five children, Pastor Buck grew up in a very disciplined household. Enlisting in the army after just two years of college did not come as a surprise to anyone who knew him. “I was in the military for four years, where PT (physical training) is a foundational part of life. The military got me started with cardio and weightlifting on a daily basis. I thought about being a bodybuilder at one point, but—as you can see—I didn’t stick to it,” he jokes. However, after leaving the military, Pastor Buck did try to keep a fitness regimen going. Pastor Buck takes looking after his congregation to heart, literally, and understands the importance of leading by example. In fact, for Pastor Buck, faith and fitness go hand-in-hand. 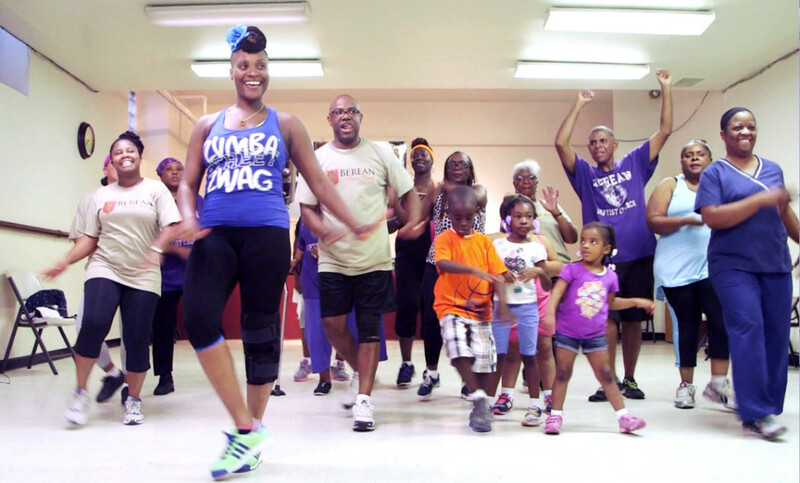 Because he knows a healthy lifestyle has to be about a balance of both diet and exercise, Pastor Buck, with the help of church members, started to hold zumba class, opening the weekly class to everyone in the neighborhood. They welcomed all ages, so that parents could come with their children, and families could workout and have fun together. 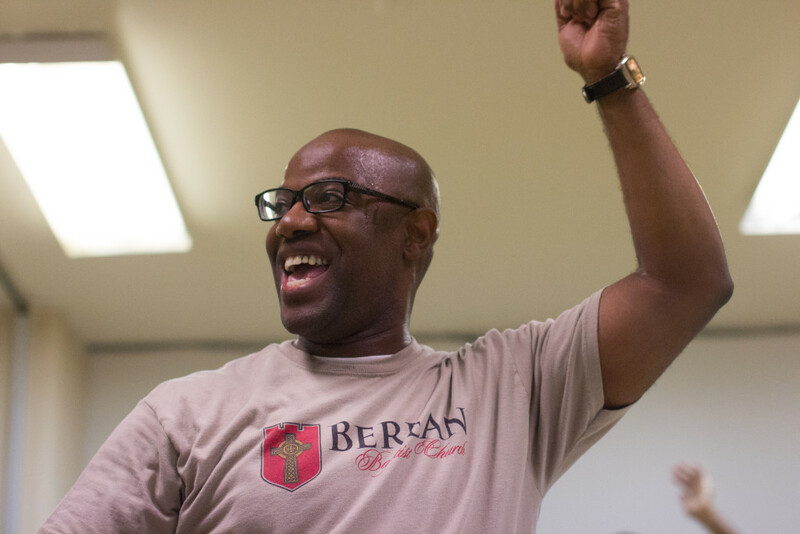 Since then, Berean has had several more group fitness events that’s open to all, no matter your current physical shape. Pastor Buck helps everyone find common ground in the ways to think about getting healthier. Pastor Buck believes that “every congregation should emphasize the importance of healthy eating, healthy exercise” so much so that he would be up for a physical activity or biggest-loser-like challenge with other churches. “If you don’t have a Zumba class, get one! And find other ways to improve the lives of the congregation not only spiritually, but mentally and physically as well.” Amen to that.